A few days ago, DeNA held its latest earnings results briefing, which came with an associated Q&A. That’s now been made available in English. We’ve posted all of the excerpts pertaining to Nintendo and its mobile games below. Although there isn’t anything too surprising here, there are some interesting comments. There’s some clarification about payment models, a statement about DeNA wanting to make the business “as big as possible”, and more. Q. In Nintendo’s Corporate Management Policy Briefing / Semi-Annual Financial Results Briefing for Fiscal Year Ending March 2016, I believe they mentioned that some collaborative apps will require a certain amount of money to be paid in order to download. Could you tell us more about the monetization method and expected business scale of the collaborative apps? A. During the briefing, pay-per-download was only mentioned as an example of various possible options for monetization methods. We believe that monetization methods must match the gameplay, and this approach hasn’t changed. The apps in our pipeline, for which we currently have an idea of the type of gameplay, will be free-to-play (free-to-start). We believe that the business scale will depend on the individual app’s gameplay, monetization points and average revenue per user (ARPU), and therefore, we are unable to discuss specific details at this time. Q. Will DeNA see significant cost increases associated with the launch of Miitomo and My Nintendo in March 2016? Also, is there any possibility that there will be changes to the launch schedule of the approximately five titles you are expecting by the end of March 2017? I am asking this because I assume your plan was to launch the remaining apps after My Nintendo had reached a certain number of users. A. Unlike when we develop an app completely in-house, we will not be bearing all the development costs alone and therefore we do not believe there will be significant costs associated with the launch. We rescheduled the launch of Miitomo and My Nintendo to March 2016 because we reviewed our pipeline, among other things, and decided this timing will be optimal. This project as a whole has not been significantly delayed. Q. You mentioned that Miitomo is scheduled to be launched in eight languages in more than 100 countries. What specific DeNA know-how is being utilized for this? A. Miitomo’s gameplay will be centered around communication. DeNA has accumulated extensive knowledge from its own services on how to enhance user communications and user enjoyment. 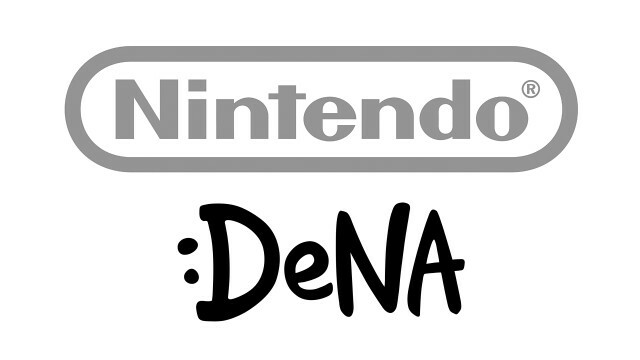 Therefore, Nintendo and DeNA are working together on Miitomo for the overall gameplay. Global or not, our strengths lie in infrastructure and back-end operations which are crucial for handling heavy user traffic. Q. I believe My Nintendo will likely have a large number of users. What kind of DeNA’s back-end expertise will be utilized? A. Our Mobage platform, which has a huge user base, has given us the experience to deal with large amounts of traffic and traffic spikes. In our collaborated business with Nintendo, we have also put in place a structure that will allow us to scale our infrastructure flexibly depending on the amount of user traffic. Q. You mentioned that Miitomo’s gameplay will be centered around communication. Could you provide some more color on this service? A. I feel that this is a very Nintendo-like app, based on everything from the feel, to the movement to the sounds. Its theme was described as “friendly communication starters” at Nintendo’s Results Briefing, which allows people who don’t usually post their own messages proactively online to participate easily. The user experience is quite unique as well. Users can interact in a virtual space through their Mii characters with familiar faces of their real-life friends and perhaps catch a glimpse of their unexpected sides. Q. You described Miitomo as an entertainment service with strong communication elements. How are you going to ensure users’ safety? A. That will depend on what kind of users you can add as friends and what kinds of communication are permitted in the app. We have a lot of experience with our own service, Mobage, so we will utilize our knowledge to provide a safe environment for Miitomo users. Q. The new services jointly developed with Nintendo are scheduled to be launched in March 2016. Will this have an impact on your fourth quarter earnings? A. For Miitomo, we will share revenue with Nintendo, and its impact to our fourth quarter earnings will depend on the initial scale of the service. However, since it is scheduled to be launched in March, we do not expect a major impact from Miitomo during this fiscal year. For My Nintendo, we will receive development fees from Nintendo, so we do not expect a major impact to our earnings from that either. Q. What is your timeline in FY2016 onwards for new apps to be provided under your alliance with Nintendo? In addition, how is the progress? A. Although I am unable to discuss new apps that will follow Miitomo at this time, we have already made specific plans for some of them. If everything goes according to the plan, we will be able to move our partnership forward at the pace that we have outlined today. Q. When do you expect the collaborative business with Nintendo to reach the break-even point? Will there be upfront cost related to the project? A. Our focus should not be just reaching a break-even point. Our primary goal is to scale this business as big as possible.